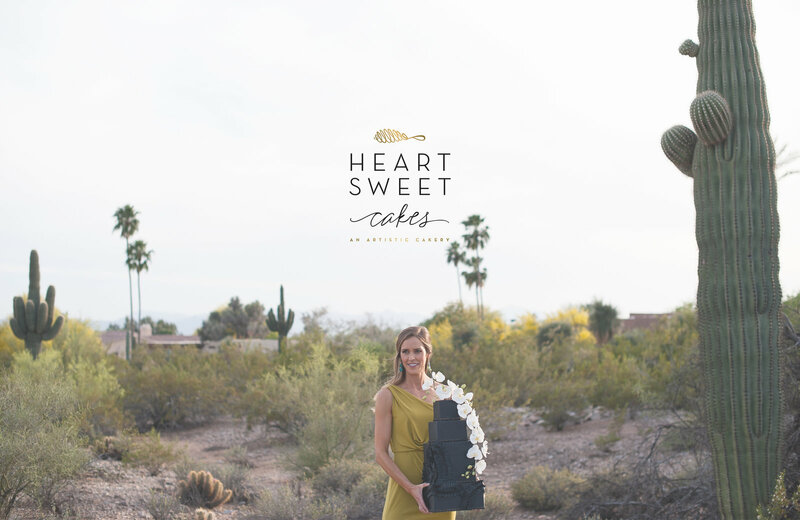 Arizona-based cake designer, Haley of Heartsweet Cakes, didn't want to look like just another wedding cake baker - because she isn't. A talented artist whose medium happens to be sugar and flour, it was important that her brand design reflect the creative process and skill it takes to make one of these cakes of art. Expressive hand-drawn illustrations and a bright, bold color palette helped set the stage for a brand that is truly unique to the marketplace. Not only does it convey professionalism and polish, but it also represents Haley's personal taste and style. The custom website brings the brand to life with a beautiful gallery feature and little design details that help create a consistent brand experience from business card to the mobile site. Clients can easily view the cakes, pick flavors and gather important information about the Heartsweet process, making it a powerful business tool beyond the first impression.